Becoming a physician or dentist means you have a long road of schooling and residency ahead of you. But it also means you’ll experience many rich, rewarding moments as you care for your patients. 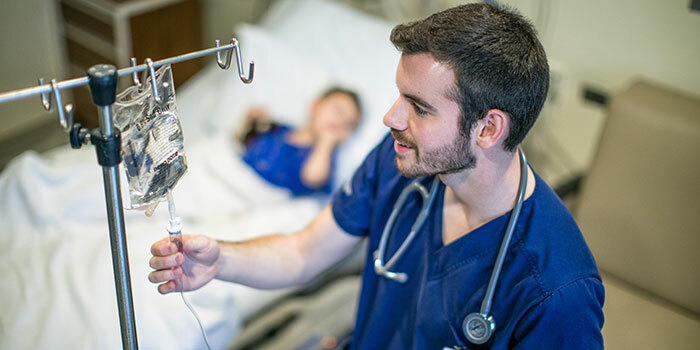 At BJU you’ll find a challenging curriculum specifically designed to prepare you for those years in medical or dental school. You’ll benefit from professors committed to teaching from a biblical worldview—and equally committed to preparing you to thrive as a Christian in the medical field. When you graduate, you’ll follow in the footsteps of hundreds of BJU’s premed/predent graduates who are now practicing physicians or dentists. BJU graduates have been accepted to more than 70 different medical and dental schools, both in the U.S. and around the world. In fact, our premed/predent graduates average in the 84th percentile for the medical school entrance exams—40% higher than the national average. Our graduates have also entered prestigious residency programs, including programs at Duke, Johns Hopkins and Yale. 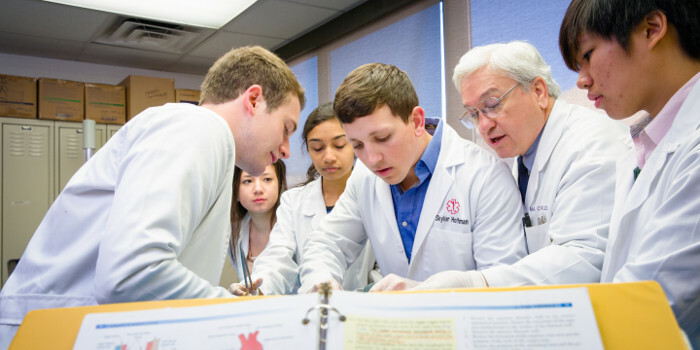 More than 80% of our premed graduates are accepted to medical or dental school within a year of graduation. Medicine is a tremendous avenue by which one may “work out” the Christian faith and seek to be an avenue of common grace to the world. 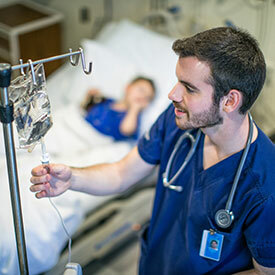 The BJU pre-medicine program prepared me well for entrance into the world of medical school. The program was rigorous. A distinct Christian perspective was found in the science classroom, where the compatibility of a Christian worldview with modern science was clearly demonstrated. I was taught regularly from Scripture and grew much through involvement in a local church. My time at BJU also helped me learn of the joy found in using God-given abilities in His service. At BJU I sat in class with professors who were experts in their fields and devoted to serving the Lord. I went to church with them, prayed with them, talked in their offices with them, and learned much from them. 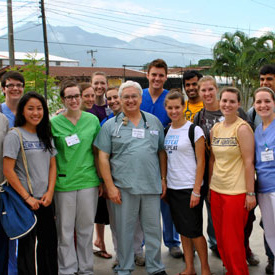 These men and women are using their individual interests and abilities in the service of God, and are excellent role models for the pre-medicine students. I am grateful for an undergraduate institution that trained me excellently, helped grow me in my faith, and helped me begin to learn that “from Him and through Him and to Him are all things” (Romans 11:36). 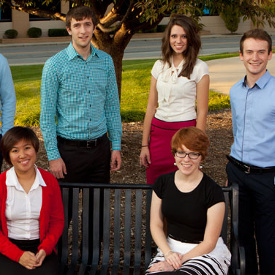 Unlike many other schools, BJU offers a true premed program. Most programs that call themselves “premed programs” are actually biology programs with premed advising. 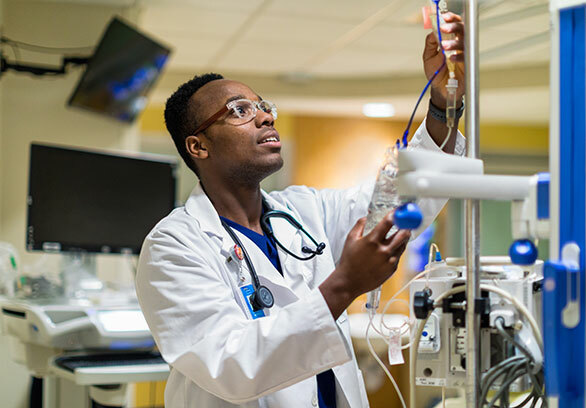 In contrast, we designed our curriculum to give you the ideal combination of biology, chemistry, physics, mathematics, ethics, psychology, and sociology that will prepare you to be an outstanding medical school prospect. You’ll learn how to think logically, analytically and biblically about the concepts that matter most in medicine. As a student in the BJU premed program, you’ll enjoy a hands-on education that includes courses in our cadaver lab and a medical internship in the largest hospital system in South Carolina. 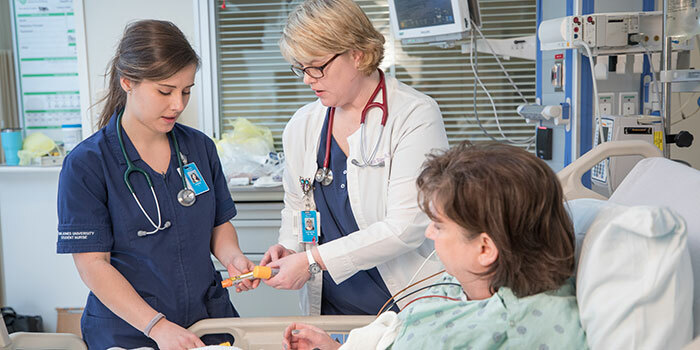 Our program’s emphasis on physiology—how living things function—lays the foundation for thinking like a physician who knows how to diagnose and treat patients. 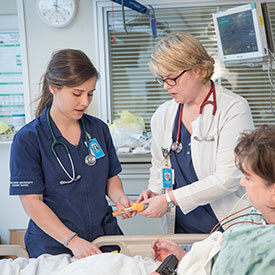 The premed/predent program has a number of electives that allow you to focus your program. Students most commonly choose biology courses, such as bacteriology and virology, histology, immunology, and cell and molecular biology. You can find support, friendship and academic growth through the Premedical Association (PMA), a student organization that averages 100 members from freshmen to seniors. 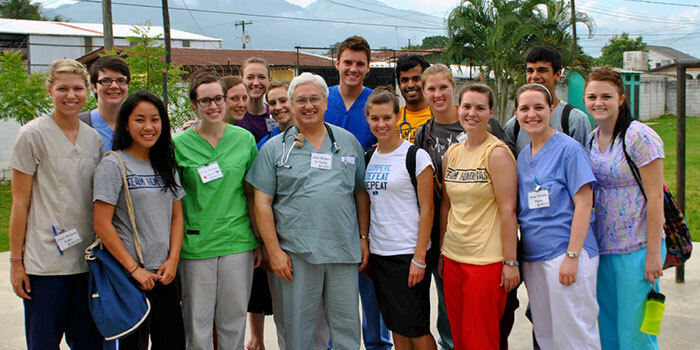 The PMA organizes trips to medical campuses, service opportunities at the local hospital and social events. The PMA also sponsors prominent speakers, such as Dr. Raymond Damadian, inventor of the MRI. The PMA is a supportive community that encourages peer mentoring and will come alongside you to help you navigate the rigors of a premed education, MCAT preparation, and medical school applications. Many students have made lasting friendships through the PMA that encourage them to succeed in their field and edify them in their walk with God. BJU’s cadaver lab—taught by an experienced medical doctor—sets our premed/predent program apart from most undergraduate programs. 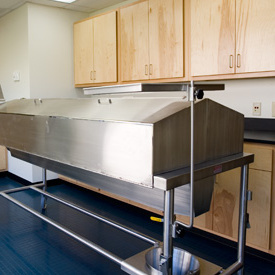 The cadaver lab provides an immense, three-dimensional view of the human body and equips you with first-hand knowledge to prepare you for your career. Our students come to grips with anatomy and physiology in a Christian context so that they can grow in awe of their Creator and prepare themselves for the stringent academic expectations of medical, dental and graduate schools. For students interested in cell biology, the Cancer Research Lab offers a summer Research Immersion (RIU) program. 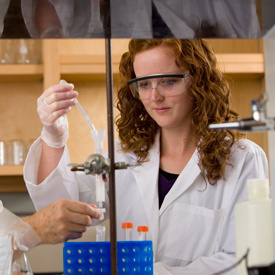 This is an unparalleled opportunity for undergraduates to improve their research skills. As part of a collaborative research team, you’ll test the anticancer properties of a variety of substances on several types of cancer cells. In addition, you’ll get experience in writing and applying for research grants. Marc Chetta earned his MD degree from LSU School of Medicine. He had a private practice in a small rural town doing general medicine, emergency medicine, ob-gyn and some general surgery. Later he became the ER medical director at Habersham County Medical Center in Georgia. With the help of two colleagues, he formed his own ER company, Covenant Emergency Physicians, LLC, and served as its president for 6 years. Formulate a biblical philosophy of medicine incorporating observations and assessments of physicians/dentists in their ethical, professional and clinical environs. Analyze the interrelationship among basic life processes and substances from a biological, biochemicaland biophysical perspective with special emphasis on the role of information and energy transduction. Critically and logically evaluate the limitations of science and the central concepts of neo-Darwinism and construct counter arguments against them. Interpret and critique experimental data and experimental designs, formulate testable hypotheses, and competently investigate hypotheses in the laboratory. Apply the relationship that exists between structure and function on the cellular, organ system, and human levels and make correct predictions of the failure of homeostatic mechanisms as well as the positioning of cells during development. Solve inheritance problems that demonstrate an understanding of fundamental transmission genetics and evaluate the role of epigenetic inheritance. Apply the central dogma of molecular biology as a limited explanatory model for information storage and regulation of gene expression.